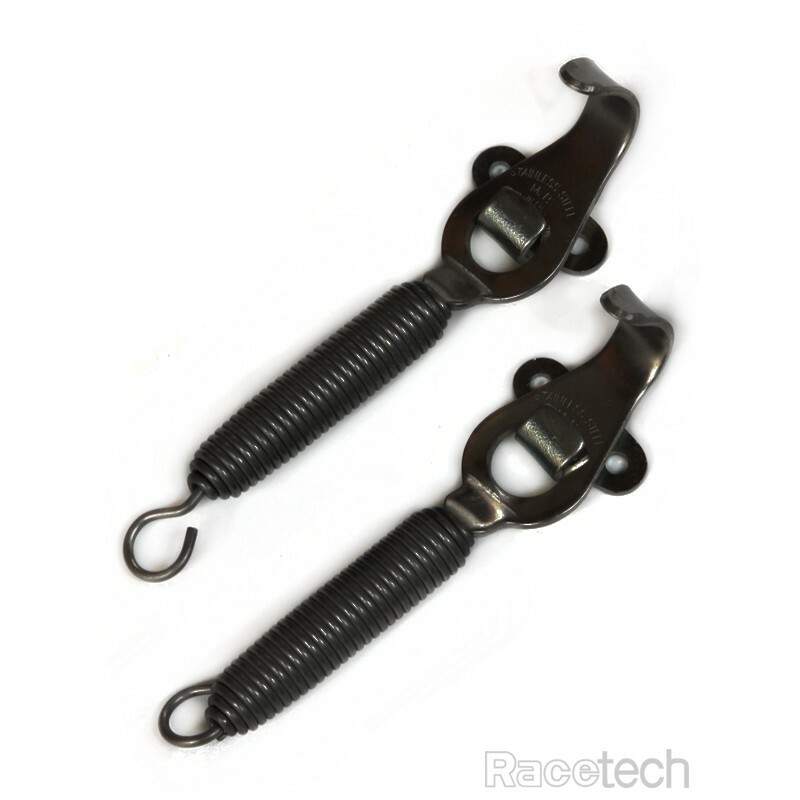 A pair of spring-tensioned latches and mounting hardware. 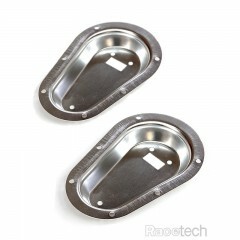 Choose either stainless steel or black. 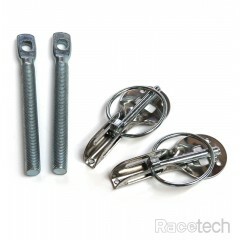 Ideal for securing the trunk, hood or even exhaust of your race or rally car.